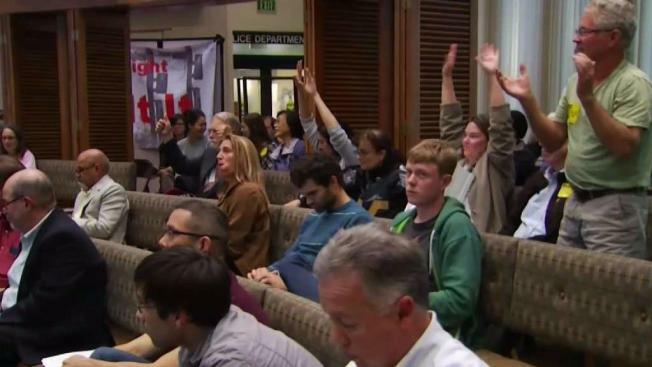 The issue of cell towers was front and center at the Palo Alto City Council meeting Monday night. The council voted 6-3 to approve permits for Verizon to install cell 'nodes' on 11 city-owned utility poles around the city. Opponents worry the project will drive down home values around the poles, and about the possible health risks from radiation. “We have rights to privacy, and safety. These cell phone towers 15-50 feet from our house will not do that,” said Paul Gee. About 40 people signed up for public comment that lasted more than two hours. Supporters like Daphne Mitchell say the city needs to upgrade lagging service. “I also cannot work from home, because I cannot get calls on my cell,” she said. Palo Alto is reimbursed by Verizon for the entire cost of installation. The company will also pay $270 annually per pole for the rented space.